Do you wonder sometimes how fast your little one is growing up? 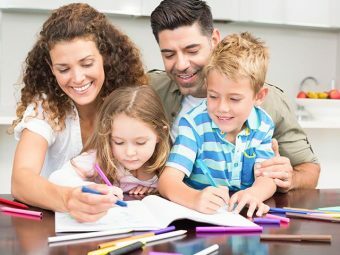 Yes, child development is one of the fascinating things a parent gets to observe. Your little baby is gradually growing by learning coordination of his body parts, enhancing his mental strength and steadily becoming an independent individual. From a parent’s point of view it is believed that it was only yesterday when they sang lulla­bies over their child’s crib, or watched him taking his first steps, but now he has all grown up. Development of Large Muscles: In growing children, leg and arm muscles grow faster compared to fingers and hands which are small muscles. This enables your child to walk, crawl, draw, etc. Development of Muscles in Center Part of Body: Muscles in the center of our body that consists of stomach, kidney, liver, etc, develops faster than those in the peripheral regions (hands, arms, etc). Development Follows A Top to Bottom Process: Physical development in a human being follows a head-to-toe process. As a parent, always ensure your child is protected well while he/she takes part in any sport. Injuries caused during development stage may create bigger issues later on in life. Rapid growth of a child’s height and weight occurs till the child attains two years of age. The growth does not stop after that- rather it slows down. The brain that is considered the CPU of the human body; has about 75% of the weight at the age of three as compared to adulthood. By the end of preschool, children start to lose their temporary teeth, commonly known as milk teeth. By 6 months –A child of 6 months is capable of performing minor physical tasks such as rolling over, grasping and holding things, etc. He starts to develop basic distinctions in hearing, vision and touching. By 12 months – A child having attained 12 months of age can well enough control his hands as well as his legs. By now he is able to stand and sit, but with support sometimes. 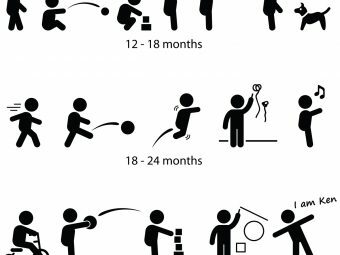 By 18 months – An 18 months old baby becomes physically independent. He is able to crawl up the stairs. He can walk fairly well without falling. He can also draw lines on the paper. By the age of two- A child having attained two years of age is able to hold the fork/spoon and feed himself. He can easily go up and down the stairs. He is able to turn pages to read a book. By the age of three-A child having completed three years of age is able to ride a tricycle. He can wear his shoes and socks. By the age of four-A child having reached four years of age is capable of performing a wide range of physical actions. He is now ready to go to school. He can take a bath on his own, clean his face, wash his hands and demonstrate other skills showing more physical independence. By the age of five-A child having hit five years of age can hop and skip. He can even ride a cycle and dress on his own. He will now be able to judge his right-handedness or left-handedness. By age of seven-A seven years old child is able to tie his shoelace. He can now jump, ride a bicycle with supporting wheels and jump the skipping rope too. By the age of nine-A nine years kid can play cricket and throw a ball. He can now indulge in different sports such as soccer and basketball. His strength is now developed to a good level. By the age of twelve- By this age puberty starts to set in. After twelve years of age, each child grows at a different rate. If no physical activity is included in a child’s routine during this crucial stage, he might lack physical development. Every parent must ensure that their child is involved in some physical activity or the other. There are many factors that affect the physical development of a child and one of them is nutrition. It is the one crucial factor that can highly affect the growth in a child. As a parent, you must ensure that the child is taking right proportion of diet. Variety in food allows you kid to obtain all types of nutrients that he requires for unfolding. Healthy snacks and smaller meals are best options for providing nutrients to your growing kid throughout the day. Ask for his opinion before preparing any food for him, this way you will understand his choices and tastes. Also this will help in the physiological development of your kid. Good eating habits results in faster and healthier growth in children. This must be developed in an early stage itself, and this can be done by ensuring that every member in the family follows a healthy eating pattern and diet. Being a parent, it’s one of your duties to encourage your child to take part in physical activities. As they ensure proper balance and development of skills. Exercises help in proper functioning of the body. They help in controlling weight, develop flexibility, improvise self esteem, strong bones and muscles. Studies have found that exercises help people cope with depression. They also help in removing negative thoughts, stress and anxiety. Physical development is an unpredictable process. It allows the child to become more familiar to his surroundings and gives him a chance to explore things in a new way. With proper interaction, the child is able to adapt to the environment more easily and quickly. In the whole process of maturation, muscular growth plays a vital role. With proper muscular growth there is proper coordination. Motor development is also a part of physical development; however, it is defined as a child’s ability to use their physical skills to perform various tasks. Genes and environmental factors influence the growth in a child. Growth of a child follows a directional pattern. It is advised to consult a child specialist to help you determine the growth of your kid. We hope our exhaustive article on child physical development stages helps you plan the routine of your growing child and make him/her physically well developed. Do share your experiences with us. How To Improve Concentration In Kids? 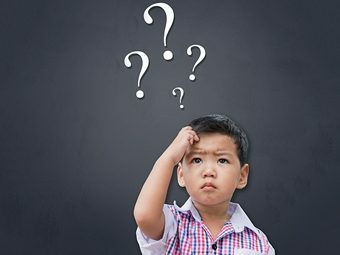 How To Improve Working Memory In Kids? How To Develop Gross And Fine Motor Skills In Children?